Researchers who followed 200,000 people aged 45 and over, over a 3 year period attributed 7% of the deaths to prolonged sitting. The Australian National University and Sydney University researchers found that people who sat for eleven or more hours a day, had a 40% increasing risk of death compared to the people who sat for fewer than four hours. People who sat for more than eight hours a day, were at a 15% greater risk of early death. Even people doing the recommended amount of daily exercise are not cancelling out the negative effects of prolonged sitting. 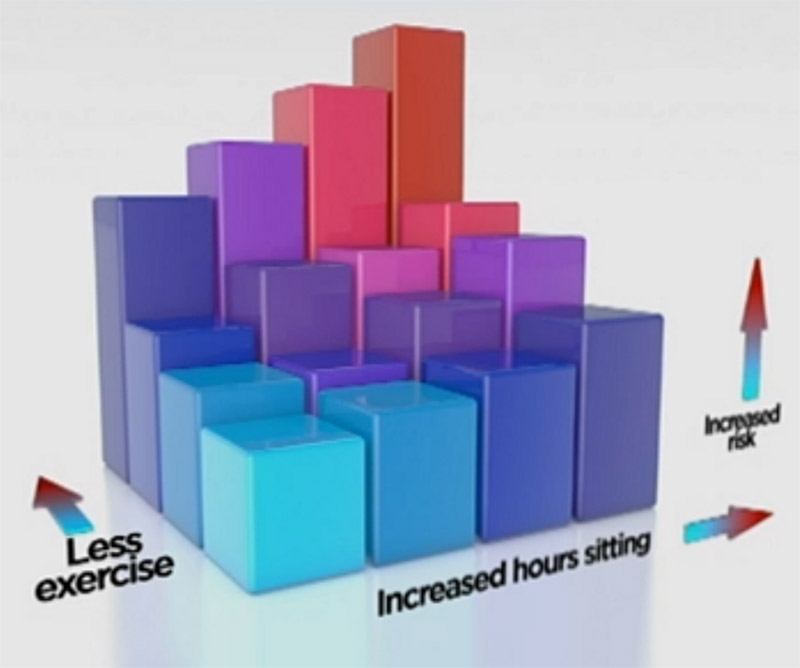 When people are sitting it is the lack of muscle contractions that is the problem. It is not the intensity of the walking but the physical movement that is important. Anita recently recently attended post graduate in back care in Sydney. "Its really deplorable how we treat our backs and we were taught beautiful simple ways to align ourselves, simple as ABC alignment - breathing - core muscles. I am so excited to take yoga classes to deeper level and teach preventative steps that we can all do! Even sitting better at a computer will make a huge difference to the back muscles. Classes are keep small and personable to get maximum value for for you, having fun while learning new core muscles and simple breathing techniques to bring back your natural energy and vibrancy! Wednesdays and Saturdays are shimmering posture care yoga classes designed with you in mind. Classes are limited and your first class is free so phone me now to book your place so you can be proactive (or restore) your posture. 0431532365"